The Graha Shanti Puja/Grih Shanti Homan is the combined Puja for all the nine planets and is being divided into nine different parts. 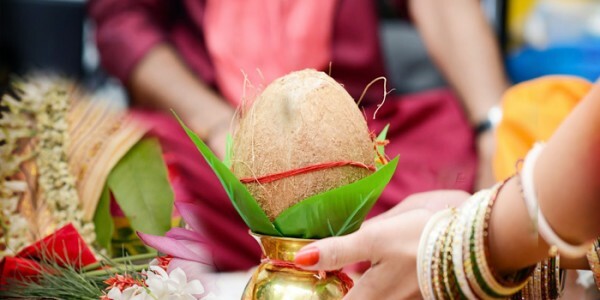 This homan is considered to be one of the most beneficial and useful Puja because it strengthens the advantageous planets’ impact in your life. It increases positive influence and also minimizes negative influence of the bad planets by effectively neutralizing their destructive effect. This Puja is recommended to everyone and most importantly for those whose planets have some malefic effect on their horoscope. We conduct this Puja by following Vedic rituals and hence we ensure belittling and diminishing of all the negative effects of planets. This Puja is recommended to perform every year as that will ensure maximum advantage from the favorable planets, which you may achieve by ensuring completion of Puja with proper procedure and ritual. For leading a happy life, it is advisable for everyone to keep their planets well pleased as that will help them in attaining all the prosperity of the life. This Puja should be performed for nine planets and it should be performed with full faith, as only then all the evils of planetary configuration will be properly diminished. Basically, existence of nine planets in the individual natal chart controls the karma, feelings, desires and all the related outcomes. These nine planets and their positioning exert an influence in our lives, which is called ‘Dasa’ which can be analyzed by someone’s natal chart. The Graha Shanti Puja is conducted for reducing all sorts of negative effects of planets from your kundali and hence it boosts up all the positive energies in anyone’s horoscope. It lets you again lead a life in the constructive and positive manner.